"Kupujesz biały czy żółty ser?" Translation:Do you buy white or yellow cheese? Pamiętam kiedy w sklepach na wsi tylko mieli biały lub żółty ser. Żółty ser z świeżym pomidorem zawsze był najlepszy wybór na wędrówkę w Tatrach! When I went to Poland, I was surprised that in Poland people think that yellow and white cheese is somehow different in some significant way. Usually one just has food coloring and the other doesn't. I guess to Poles yellow cheese is more like a cheap processed cheese. Which is usually the case, but I found it odd that they are differentiated in this way. That's because they are and in very significant way, that doesn't have anything to do with (artificial or otherwise) food colouring – while the distinction is no longer fully observed, so things are getting more complicated, the original distinction in Polish language was between sour-milk type cheeses(„białe sery”) and rennet(„podpuszczka”) based ones(„żółte sery”). BTW, most „żółte sery” sold in Europe(EU) are not artificially coloured in any way, because they are functioning under PDO(Protected Designation of Orgin) law and therefore can't deviate from the original recipe that usually was devised centuries before any artificial colouring was invented – their colouring is due to rennet used. "Are you buying sour milk- or rennet-based cheese?" was not accepted as an answer. Thank you, that answered my query. I must try some Polish cheeses. In Britain cheeses come in all shades between white and yellow so the distinction is alien to us. In Polish they are totally different, as it actually should be rather translated as "cottage cheese". Another word is "twaróg". When you check English Wikipedia for "White cheese", ours is under "Quark". This is correct. One never knew what kind of "yellow" cheese the store had in stock that day (Swiss, cheddar, Gruyere, etc. ), but one always knew that yellow cheese was more solid, while white cheese would have the consistency of a farmer's or a cottage cheese. The weird thing is that in the US, Swiss is always white because it has no food coloring added. 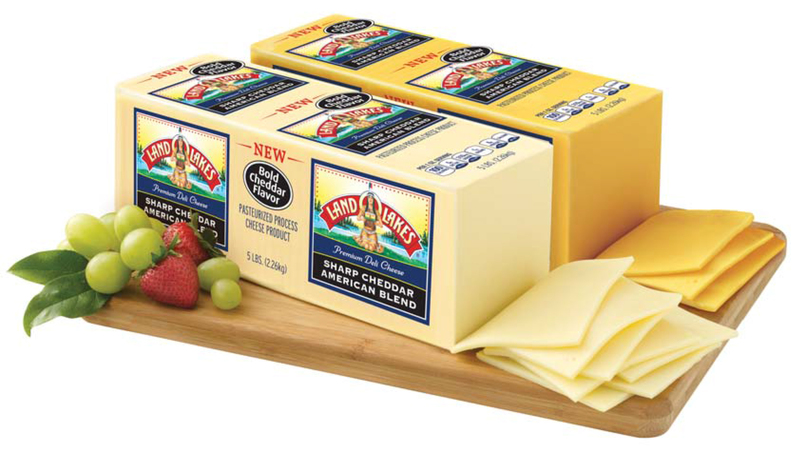 Cheddar may or may not be white, usually depending on the quality (and price). Even when I am in Poland, I usually eat more "white cheese", like a good cheddar or whatever the "salami" cheese actually is. you don't get it. have you tried Polish "ser biały"? I would say all cheeses you said are "ser żółty", some "foreign" fresh cheeses would be considered "ser biały" as well. If it is a misnomer and just distinguishes between "normal" cheese and others like cottage cheese, then that would make sense. I guess that is why people are so confused when talking about cheese colors and kinds of cheese. yes all of them are definitely "yellow". And in my research about cheese I've found out that French cheese that we call "fromage" (also considered a kind of white cheeses in Poland), is called "Fromage blanc" which literally means "white cheese" too. Other cheeses that fit "ser biały" group are mascarpone, cottage cheese. Ah! That explains it! It is not yellow in the literal sense, that is merely the term used! In English, that is not the same. That is probably important to note for this particular question. Thank you for your help figuring that one out. Is blue cheese "niebieski ser" or does it have another name? Apparently yes, although I'm not sure if I have ever heard about it. I would rather say "ser pleśniowy". I'm not sure if that's exactly the same thing, but Wikipedia lists Gorgonzola and Roquefort both for "niebieski ser" and "ser pleśniowy". "pleśniowy" comes from "pleśń" = "mold". So that would literally be "mouldy cheese", right? Then what's the distinction between blue cheese and cheese that's going bad and growing mildew? The one that went the wrong way is "spleśniały". We usually accept your "do-less" answers because without "czy" the sentence could be understood as a 'surprised question', but here... using "czy" for "or" really makes it clear that it's a real A/B question. That grammar in English is incorrect. As an interrogative it requires the word "Do." If it were a statement you could say "You buy white or yellow cheese." But in that case the Polish would probably be "Kupujesz biały lub żółty ser." Why not: "You are buying white or yellow cheese?" That's a prefectly grammatical way to put this question, I think. Does biały ser correspond (roughly) to "fresh cheese" and żółty ser "aged cheese"? Hmm... I think so? Quick googling seems to confirm, but I don't know much about cheese myself. Why not: "Do you buy white cheese or yellow?"